Showing results for tags 'sandfilledfairwaydivots'. Free Relief From Fairway Sand-filled Divots Rule 16.3a and 16.3b? According to a UK referee I was corresponding with about the new rules, the R&A gentlemen said in his opinion free relief can be taken under the new golf rules from a sand-filled divot or sand filled next to a drain, etc. in the fairway under Rule 16.3a. Here is the explanation: Ball in Sand Filled Divot in General Area– Possible Free Relief. This may be a gray area, but if a ball is embedded in sand on the fairway or other general areas, there seems to be free relief allowed if the sand is in an area cut to fairway height or less. This would mean in effect, you can get relief for a ball embedded in a sand-filled divot or drain on the fairway provided the sand or drain is in an area cut to fairway height or less (Rule 16.3a and exceptions under that rule). Rule 16.3a provides: When Relief Is Allowed (1) Ball Must Be Embedded in General Area. Relief is allowed under Rule 16.3b only when a player’s ball is embedded in the general area. There is no relief under this Rule if the ball is embedded anywhere except in the general area. But if the ball is embedded on the putting green, the player may mark the spot of the ball and lift and clean the ball, repair the damage caused by the ball’s impact, and replace the ball on its original spot (see Rule 13.1c(2)). Exceptions – When Relief Not Allowed for Ball Embedded in General Area: Relief under Rule 16.3b is not allowed: When the ball is embedded in sand in a part of the general area that is not cut to fairway height or less, or When interference by anything other than the ball being embedded makes the stroke clearly unreasonable (for example, when a player is unable to make a stroke because of where the ball lies in a bush). (2) Determining Whether Ball Is Embedded. A player’s ball is embedded only if: It is in its own pitch-mark made as a result of the player’s previous stroke, and Part of the ball is below the level of the ground. 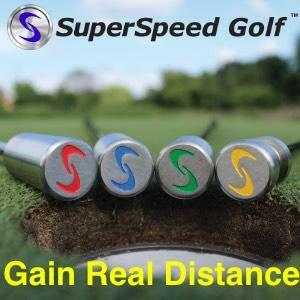 If the player cannot tell for sure whether the ball is in its own pitch-mark or a pitch-mark made by another ball, the player may treat the ball as embedded if it is reasonable to conclude from the available information that the ball is in its own pitch-mark. A ball is not embedded if it is below the level of the ground as a result of anything other than the player’s previous stroke, such as when: The ball is pushed into the ground by someone stepping on it, The ball is driven straight into the ground without becoming airborne, or The ball was dropped in taking relief under a Rule. DIAGRAM 16.3a: WHEN A BALL IS EMBEDDED Rule 16.3b provides: b Relief for Embedded Ball When a player’s ball is embedded in the general area and relief is allowed under Rule 16.3a, the player may take free relief by dropping the original ball or another ball in this relief area (see Rule 14.3😞 Reference Point: The spot right behind where the ball is embedded. Size of Relief Area Measured from Reference Point: One club-length, but with these limits: Limits on Location of Relief Area: Must be in the general area, and Must not be nearer the hole than the reference point. See Committee Procedures, Section 8; Model Local Rule F-2 (the Committeemay adopt a Local Rule allowing relief only for a ball embedded in an area cut to fairway height or less). Anyway, when we fill in divots we can't put too much sand in a divot because it will mess with the mower blades, but as this rule change gets to be known more and more, I think players will be filling their divots a lot more with sand than they used to. Haha!